On the second Friday of every month, SLUG brings unique local musicians into the limelight at Urban Lounge to highlight the amazing and often hidden talents of Salt Lake, for a measly five bucks. On Nov. 9, Localized challenges the listener with two groups that push the envelope in the experimental electronic scene, the VCR Quintet and The Soundtrack Scene. Both represent a drastic departure from traditional sounds, songwriting and performance, using an array of nonconventional sources for both recordings and live shows. However, the music produced by both artists retains a tightness and structure that is familiar but nonetheless profound. If that weren’t enough, Orem’s Digitallov will be opening the show with their unique brand of trashy electro-disco. Experimental music artists often take creative approaches to their instrumentation, relying on vintage instruments, contact mics, or an array of pedals, producing most often sub-par musical masturbation. The VCR Quintet, or VCR5, is an exception to this rule, creatively wielding an array of VCRs and effects to create a sound that brings to mind the 8-bit energy of Paper Rad with the dynamic soundscape and creative production of a group like Wolf Eyes. According to VCR5’s mastermind, Joe Greathouse, the idea for utilizing VCRs as musical instruments was a natural progression, or regression from the recording process, “A lot of bands record with tape, a few artists have attempted to play tapes live, and the next level seems to be video cassettes, input devices equipped with warm magnetic sound and video, with twice the dimension. I didn’t come up with the idea; I just elaborated and exploited it.” The five VCRs act as a type of multitrack analog sampler, allowing Greathouse to record, playback, and layer sounds, effects, and melodies in much the same manner as a five-piece band culminates to form one sound. A brilliant alternative to the boring shows of laptop musicians, VCR5 is an experience to watch as well as listen to. Growing up in the midst of DJs, Greathouse was put off by the limited palette in vogue amongst electronic musicians, remixers and arrangers. “When I was a teenager there was this weird prejudice by DJs against tools like delay, sample pads, drum machines, and even computers. I waited patiently until that wore off, but there’s still the same kind of stylistic drama floating around, even though everyone involved claims to be the most open minded person in the universe.” Rising above the trends and fashion of popular instruments or sounds, Joe manages to create a sound that is very much cutting edge without any of the pretension that surround the scene of ‘experimental’ artists. 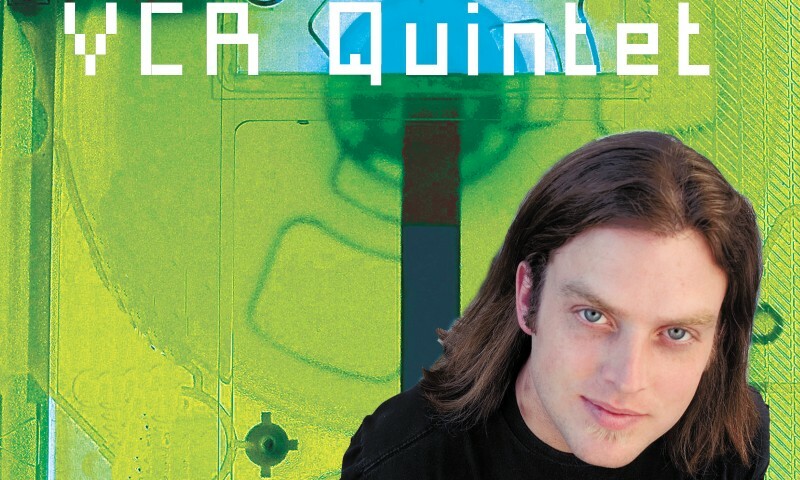 Ultimately, VCR Quintet produces excitingly cutting edge music that doesn’t wear on your brain like some of the more aggressive or loose noise artists out there, although the cacophony remains jaunted enough to keep things interesting.